The Daily Meal in December unveiled their second annual round-up of who they believe are the “cream of the crop” food establishments for every state in the United States. Their rankings run the gamut from steakhouses and pizza joints to fine dining, food trucks and craft breweries. They even rank the best places to find some of your favorite comfort foods such as pancakes or donuts. We are happy to highlight three local digs that made the ranking for the Garden State. 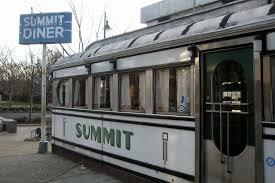 Opening its doors more than 75 years ago, the Summit Diner is a vintage railcar-diner. As New Jersey’s oldest diner, the establishment has earned the right to play by its own rules. For example, when you visit, don’t expect a menu – the offerings are listed on the wall above the counter. In addition, one of the must-try foods is the slider, but not the mini-burger variety that you expect. Their slider is a Taylor ham, egg and cheese sandwich, which, according to patrons past and present, will actually “slide down into your stomach”. 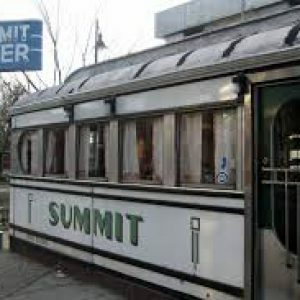 But the Summit Diner is known for more than just its slider. Last year, NJ.com ranked their corned beef and hash the best in New Jersey. And if you have a sweet tooth, you must try the ekmek kataifi, a traditional Greek pastry made by the owner’s wife that includes shredded phyllo, honey, custard, whipped cream and toasted almonds. When you visit, bring cash – no credit cards are accepted at this diamond in the rough. Housed in a building that dates from 1740, Chatham’s favorite restaurant, Scalini Fedili, has been a staple of local fine dining for 24 years. With soft lighting, antique floors, and vaulted ceilings, the restaurant practically oozes romance. But if there’s love in the air, there’ll be joy in your stomach. Self-described as modern Italian with a French flare, the menu is created with both casual diners and sophisticated palates in mind and is complemented by one of the best wine lists in the area. The menu is prix fixe and reservations are recommended, so book your Valentine’s Day dinner today! Kings, the New Jersey-based grocery store chain located throughout the state, boasts local farm produce, delicious desserts, fine meats and cheeses, internationally renowned and local wines and beers, plus prepared foods along with a variety of other grocery items. Furthermore, the Short Hills location is known for its insanely satisfying catered foods and for offering a variety of hands-on cooking classes at its fully-equipped cooking studio. Although the consensus from the Daily Meal is that products may be a bit more expensive at Kings, it also carries the quality products you are looking for.